Over 1,400 Articles Posted! Over 150,000 People Downloading A Salvation Page Per Year! 53 Alarming Trends For Teens, And How To Spot Them! There is something going on among our teenagers and it's alarming! Their behavior is becoming more troubling than most of us are willing to admit. 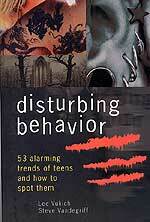 This book looks at 53 disturbing behaviors in which teens are involved. 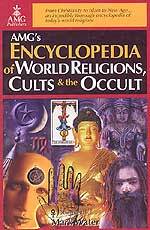 The 'Encyclopedia of World Religions, Cults and the Occult' is designed to be of maximum assistance to those who may know little about the religions and sects that span the globe. From Christianity To Islam to New Age -- and Beyond! 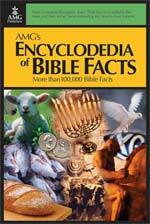 The ultimate one-volume Bible encyclopedia loaded with charts, information and over 100,000 Bible facts. There is a major movement sweeping through the Church. 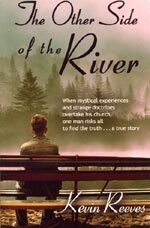 Billing itself as the "River," or "Third Wave", or "Latter Rain", it promises an incoming tide of blessing but leaves in its wake tsunami-like devastation. 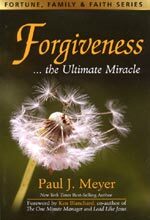 Cutting Edge Ministries heartily recommends this fine book teaching the art of Biblical Forgiveness! Two film industry festivals have just notified Chris Pinto, of Antiquities Research Films, that they have officially selected "Riddles In Stone: The Secret Architecture of Washington, D.C.", as one of their "Official Selections". Last year, the New York Film Festival awarded Volume 1, "The New Atlantis" their prestigious award, the "ScreenCraft Award", given to the Best Feature-length Documentary. Last year, the Los Angeles Film Festival awarded "The New Atlantis" their "Best Historical Documentary". Please pray that "Riddles In Stone" will meet or surpass last year's honors for "The New Atlantis". I. The U.S. Supreme Court handed abortion opponents their very first national victory in the Abortion Battle last week, when they decided to ban the hideous murder of infants known as the "Partial Birth Abortion"! "The Supreme Court narrowly decided Wednesday in favor of President Bush's Partial-Birth Abortion Ban Act ... Introduced in 2003, the act has been debated upon by members of both parties and was considered by many, until Wednesday, to be unconstitutional. The Supreme Court's 5-4 vote is the first restriction of abortion since the historic Roe v. Wade case of 1973, which declared abortion a constitutional right." This next quote verifies one of the objections which Cutting Edge had originally posted concerning this 2003 Partial Birth Abortion Ban. "Amanda Baxa, vice president of K-State's chapter of Students for the Right to Life, said she was glad members of the Supreme Court decided the way they did. 'I was pleased that they did vote for it, but I would have liked to have seen something more strict', said Baxa, junior in life sciences. 'The bill they did vote for is not going to do much. The thing is, this is going to ban a specific type of abortion, but this isn't going to put an end to abortion in general'." "A partial birth abortion occurs when a doctor allows only a partial part of the head to come outside the mother before he pulls back the vaginal skin, jabbing sharp medical scissors into the back of the baby's head in order to twist it so that the brain stem is destroyed. If the doctor waits until the head is completely outside the body of the mother, that doctor cannot then legally insert those sharp scissors into the back of the skull, because he/she would be killing a live baby who has just been born -- according to currently existing law!" (NEWS1829, "Another Look At The Horror of the Bill To "Prohibit Partial Birth Abortion"). Please re-read NEWS1829, for this original 2003 "Partial Birth Abortion Ban" which the Supreme Court just upheld contains a fatal flaw so serious that partial birth abortions may be allowed to continue, under the guise of being outlawed! We found the exact bill as President Bush signed it on November 5, 2003. This "fatal flaw" wording which Dr. Lowney discovered in the original bills coming out of the House and the Senate survived intact and are the heart and soul of this 2003 Partial Birth Abortion "Ban"! What is this wording, as revealed in NEWS1829? "the person performing the abortion deliberately and intentionally vaginally delivers a living fetus until, in the case of a head-first presentation, the entire fetal head is outside the body of the mother..."
However, this fatal flaw did not prevent Christians from enthusiastically endorsing this Supreme Court decision. "Christians have overwhelmingly been voicing their satisfaction with the recent ruling by the Supreme Court which upheld a 2003 law banning the controversial partial-birth abortion. The Partial Birth Abortion Ban Act was reinforced by a 5-4 vote on Wednesday, with judges explaining that its restriction does not violate a woman’s right to abortion." " 'With today's Supreme Court decision, it is just a matter of time before the infamous Roe v. Wade decision in 1973 will also be struck down by the court', explained Roberta Combs, president of the Christian Coalition of America (CCA), in a statement." In fact, many supporters of this Court decision now believe that this 5-judge panel can now be counted on to issue a ruling one day to outlaw Abortion Upon Demand completely. This next segment reveals that this ban will not reduce the actual numbers of abortions committed annually. "Anti-abortionists have said that the case will not reduce the actual number of abortions, however, since an alternative procedure – where the fetus is dismembered in the uterus – will still be available and is more common among women ... about 90 percent of abortions in the United States – which number over one million – occur in the first twelve weeks of pregnancy, thus unaffected by the ruling." Liberal Democrats exhibited their normal knee-jerk reaction, this solidifying the notion in people's minds that some great and good action had finally been delivered against abortion. "Senator Obama 'Strongly Disagrees' With Court Decision"
"Senator John Edwards: 'I could not disagree more strongly with today's Supreme Court decision' "
Christians will look upon the universal dismay expressed by these Democrat candidates for president and conclude that the Supreme Court really delivered a blow against Abortion. These same Christians then can credit President Bush for supporting the 2003 bill, and feel a greater support for a President who is under fire for his wars and for a number of domestic ills, the kind of political fire which is leading to impeachment rhetoric. This increased Christian support for Bush makes it much less likely he will ever be impeached. II. More is now known about the Virginia Tech mass murderer, Cho, and it confirms our original analysis of this tragedy! "Deadly accuracy, disturbing revelations suggest outside involvement in VA Massacre, cocktail of brainwashing from prozac, violent video games contributed to carnage ... Seung-Hui Cho was a mind-controlled assassin ... cultural brainwashing of violent video games and psychotropic drugs directly contributed, as it does in all these cases, to the carnage at Virginia Tech on Monday morning." If you "Google, Advanced Search" listing on this issue, you will be shocked. Informed people in the secular world seems to know exactly the linkage between these drugs and violent school shootings. Conservative Christians just have to come up to speed in their understanding. This next article spells out this linkage very well. "In the wake of yesterday's shooting rampage at Virginia Tech by gunman Cho Seung-Hui, state legislators, civic and human rights activists are asking why Congress has failed to investigate the link between psychiatric drugs and school violence, given the high rate of psychiatric drug use by the shooters. According to breaking news from investigators at Virginia Tech, Cho may have taken depression drugs—documented by the Food and Drug Administration to cause suicidal behavior, mania, psychosis, hallucinations, hostility and “homicidal ideation.” (link) If Cho Seung-Hui’s psychiatric drug use is confirmed, it would bring the total to 61 killed and 77 wounded by psychiatric drug-induced school shootings." This next segment specifically mentions Prozac. "In September 2005, following confirmation that Red Lake Indian Reservation school shooter, Jeff Weise, was under the influence of the antidepressant Prozac, the National Foundation of Women Legislators, together with American Indian tribal leaders, called for a Congressional investigation (link) into the correlation between psychiatric drug use and school massacres. To date there has been no response to this request despite documentation that at least eight recent school shooters were under the influence of psychiatric drugs at the time of the shootings." We encourage you to read this article fully, for it goes on to specifically list all the shootings in which anti-depressant drugs were a common denominator! 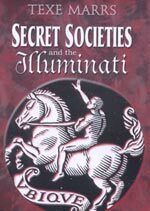 Bill Cooper was right in his book, "Behold A Pale Horse"! Now, notice Cooper's statement that the CIA is able to specifically implant the desire to shoot up a campus! "Using drugs and hypnosis on mental patients in a process .... the CIA inculcated the desire in these people to open fire on schoolyards and thus inflame the antigun lobby." 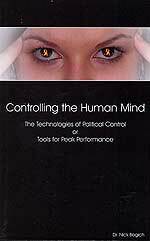 Mind Control is at such a high level of capability, people would not sleep nights if they fully understood. One firearms expert could not believe how efficiently Cho killed with his two handguns. "Charles Mesloh, Professor of Criminology at Florida Gulf Coast University, told NBC 2 News that he was shocked Cho could have killed 32 people with two handguns absent expert training. Mesloh immediately assumed that Cho must have used a shotgun or an assault rifle. Mesloh said the killer performed like a trained professional, 'He had a 60% fatality rate with handguns - that's unheard of given 9 millimeters don't kill people instantly', said Mesloh, stating that the handguns Cho used were designed for 'plinking at cans', not executing human beings." This reality speaks to the probability that Cho did receive expert weapons training. From whom could he have received such training? 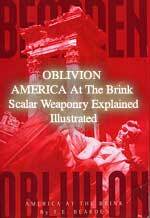 The CIA comes readily to mind, especially since Bill Cooper revealed that the CIA had developed the technique whereby they can inculcate into a person's mind the specific desire to shoot up campuses. 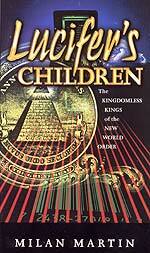 This next article comes from a nationally known former CIA ULTRA Mind Control victim. "... VA Tech is pulling links from its website concerning their relationship with the CIA. Reports from November 2005 confirm that the CIA was active in operating recruitment programs based out of VA Tech. Several professors from VA Tech are involved in government programs linked with NASA and other agencies. Such details only fan the flames of accusations that Cho could have been a Manchurian Candidate, a mind-controlled assassin." Did you catch that bit of information? "The '33' symbolizes the highest spiritual conscious attainable by the human being." Thus, the numbers "33" and "11" speak directly to the coming New World Order, where the Masonic Christ will so cleanse the earth that only "Perfected Men" will be left alive. What is a Perfected Man? He is one who has attained "33", the " highest spiritual conscious attainable by the human being." Let us go back, for a moment, to the CIA/Intelligence link to Virginia Tech and to Blacksburg, Virginia, as we discussed, above. It turns out that Cho's sister works for a company which, among other things, provides intelligence services to the Federal Government! "The sister of Seung-hui Cho, the man accused of carrying out the worst day of violence on a college campus in U.S. history, works out of the State Department as a contractor, government officials told ABC News. Sun-Kyung Cho, the shooter's older sister, is listed in the State Department directory as a personnel assistant at the Bureau of Near Eastern Affairs, but sources say she reports to McNeil Technologies, which is one of the many administrative/managerial support contractors used for Iraq reconstruction management projects." "McNeil's Intelligence and Language Center (ILC) provides unmatched expertise in the areas of Intelligence and Language Services. The combination of Intelligence and Language guarantees our clients mission success." Now, we have a intelligence services link between the CIA and Virginia Tech at Blacksburg and to Cho's sister, who reports to a company providing intelligence services to the American government. III. 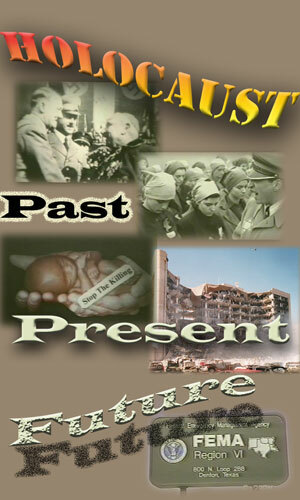 Almost immediately, the Gun Control Lobby began agitating for stricter gun controls, against all logic and discernment. Some of the largest political names in the political arena signed up for this effort. The European press took up the Gun Control mantra first. American politicians began jumping into the fray. "Kucinich's congressional office ... issued a press release this week in the aftermath of the Virginia Tech shootings that promised Kucinich will draft legislation to ban the purchase, sale, transfer or possession of handguns by civilians." Oh, yes, and remember that Kucinich is the one who is going to introduce impeachment legislation against Vice President Cheney very soon. "(CBS) JERSEY CITY, N.J. Mayor Michael Bloomberg and a coalition of 214 mayors are using the Virginia Tech massacre to pressure Congress to give local cops the information they need to trace illegal guns used in crimes. CBS 2 has also learned that they're also launching a TV ad campaign starting Sunday." This next statement by Mayor Bloomberg is pure nonsense. "We're fighting criminals and illegal guns. Why is Congress fighting us'?" Remember the bumper sticker that reads: "When guns are outlawed, only outlaws will have guns". Remember, also, that 25,000 unarmed students provided killer Cho with an unbelievably easy target. Had anyone on campus been armed that day, it is far less likely that Cho could have killed so many so quickly. But, Virginia Tech outlawed anyone carrying guns, even though Virginia state law allows citizens to carry guns. One gun control advocate posted this statement which I think it really true: "60,000,000 gun owners in America shot no one yesterday. One CWP holder in a classroom there at VT could have brought the killing to an instant halt, but there were no CWP holders there because VT, like all schools in America, has been declared a 'disarmed victim zone'. The blood of this atrocity is on the hands of those who demand that we remained disarmed and go like sheep to the slaughter!" Dr. Scott Johnson, Cutting Edge subscriber and Prophecy Club speaker, has written a very special article on this subject. "I am always amazed by the enthusiastic attempts of liberals to outlaw guns in the hands of the innocent victims and law-abiding citizens whenever a murderer shoots people. Op-Ed pieces and Hollywood liberals are already claiming that the NRA and the prevalence of guns are one of the main reasons behind the murder of 33 students and professors at Virginia Tech ... On the contrary, the gun violence makes me even more dedicated to carrying my concealed weapon wherever I go and encouraging other good citizens to do the same! Can anybody else see the connection between the shootings at Virginia Tech, the sniper attacks in D.C. and Baltimore, the Amish and Columbine massacres, and all of the public school shootings? They all occur at 'gun-free zones'." Then, Dr. Johnson reports that, in 2006, a Virginia Tech spokesman revealed how happy he was that the college had just outlawed guns on campus. "In 2006, Virginia Tech spokesman Larry Hincker said he was happy that the General Assembly voted down a bill that would have given qualified college students and employees the right to carry handguns on campus ... In June 2006, Virginia Tech's governing board approved a violence prevention policy that reaffirmed the school's ban of law-abiding students carrying the means to defend themselves against homicidal mass murderers." I wonder if he would like to take those words back now? 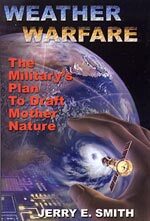 Several years ago, we carried a book entitled, "Dial 9/11 And Die". 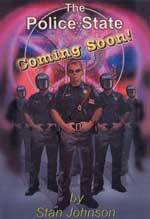 This book demonstrated the fallacy of citizens thinking that the police can and will defend them if they ever come under attack. Not only has this silly thinking been proven right in America over the years, but this Virginia Tech massacre amply illustrates the point. Have you seen those pictures of the police and SWAT team members hiding behind trees while they gave Cho all the time he needed to murder 33 people? Police authorities cannot protect you or your family against armed attack. However, if government forces acts stupidly during the time you are under attack, you are really doomed if you have depended upon police to protect you. This next story reveals that Federal Authorities actually ordered local and state police and SWAT teams to "stand down" while Cho was busily murdering 33 people! "Police and EMT workers at Virginia Tech tell us that campus police were given a federal order to stand down and not pursue killer Cho Seung-Hui as Monday's bloodshed unfolded ... we have received calls from police and EMT's who tell us that a stand down order was in place, and this is also confirmed by eyewitness Matt Kazee, who is a Blacksburg local." "Kazee talked to local EMT's and police who told him the same thing, that the order was to wait until federal back up arrived before any action was taken. This explains the complete non-response of the police in the two hour gap between Cho's first two murders and the wider rampage that would follow later that morning." This next segment tells us why the Feds possessed the authority to give this kind of order. "The policy of federal control over the University was put in place following a previous shooting in August 2006 in which a police officer and a hospital security guard were killed." Using this recent new authority, Federal officials ordered campus police to take no specific action designed to prevent Cho from murdering any more innocent students. This next segment notes what a normal police reaction to a double homicide on campus would have been. "... a former long-term University police officer, George French, told the Alex Jones Show that it is routine to seal off a campus on which a suspected gunman is loose. 'Setting up a series of roadblocks, controlling access to very large pieces of property, is very much routine on any university campus in Canada and in the United States,” said French. On April 16, 2007, had the time arrived for Cho to step on the stage at Virginia Tech campus to carry out the scenario set out for him? Only such a scrip can explain these many seemingly inexplicable, contradictory facts about this awful shooting. IV. Some cities and towns reacted soberly and properly to this massacre. "NASHVILLE - In a surprise move, a House panel voted Wednesday to repeal a state law that forbids the carrying of handguns on property and buildings owned by state, county and city governments - including parks and playgrounds. ' think the recent Virginia disaster - or catastrophe or nightmare or whatever you want to call it - has woken up a lot of people to the need for having guns available to law-abiding citizens', said Rep. Frank Niceley, R-Strawberry Plains." "As amended, the legislation still wouldn't allow guns on school property, however." One town has an amazing success record in preventing crime once they allowed citizens to carry guns. Authorities running this town went beyond just "allowing" their citizens to carry guns; they passed a law "requiring" their citizens to carry arms! "As the nation debates whether more guns or fewer can prevent tragedies like the Virginia Tech Massacre, a notable anniversary passed last month in a Georgia town that witnessed a dramatic plunge in crime and violence after mandating residents to own firearms. In March 1982, 25 years ago, the small town of Kennesaw – responding to a handgun ban in Morton Grove, Ill. – unanimously passed an ordinance requiring each head of household to own and maintain a gun." Now, that is a dramatic requirement, don't you think? Of course, opponents of such a drastic action predicted grave results, 25 years ago. What has really happened? "Since then, despite dire predictions of 'Wild West' showdowns and increased violence and accidents, not a single resident has been involved in a fatal shooting – as a victim, attacker or defender." Amen! Results speak for themselves. As this one person, quoted above, said, "60,000,000 gun owners in America shot no one... "
V. As Congress quietly passed a new Federal Drivers License bill, we can now see the REAL reason behind the REAL National I.D. card. "OTTAWA, Ontario, June 1, 2005 (PRIMEZONE) -- BlueBear Network International, Inc (Pink Sheets:BLBR) announced today it has extended its exclusive licensing of facial recognition and secure distributed search technology from Ottawa-based VisionSphere Technologies, to offer State motor vehicle agencies the ability to link driver's license databases between all U.S. states, Canada and Mexico -- as proposed by the sweeping REAL ID Act approved by Congress this month." However, this information about a Congressional bill passed in June, 2005, informs us that one of the major reasons a Federal Driver's license was created was to "link driver's license databases between all U.S. states, Canada and Mexico". "The passing of the Real ID Act by Congress earlier this month will enable BlueBear to position itself to be a key technology player in linking driver's license databases throughout North America', said Andrew Brewin, President and CEO of BlueBear Network. 'Given that BlueBear is already deploying information sharing systems in Law Enforcement, adding Driver's Licenses is a logical extension'." This next segment tells us the reason such a linking of databases is required. "To have a combined data base requires compatibility of the numbering system and information captured (EDI compliant). That's the real reason behind the Real ID. No doubt the driver's license number will include country code and state-province code. Even though the card stock might look different depending upon the issuing agency, the data will be designed to reside in a single database for all three countries." 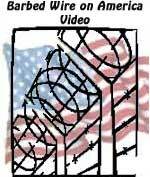 Not only is our police state continuing to build against us, but NAFTA is following the route blazed by the European Union, i.e., systematically becoming a nation following its creation. 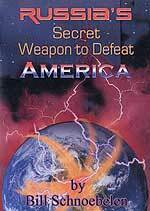 NAFTA was Nation #2 to be created in the Illuminati plan to recreate the nations of the entire world into 10 Super Nations (fulfillment of Daniel 7:7-8 and Revelation 17:12-17). These are exciting prophetic times in which to live. One particular prophecy comes to mind which fully defines these terrible times. VI. Congress seems poised to pass a greatly restrictive bill which would refuse grass-roots organizations from reporting legislation which is about to be passed. "Without a doubt, this could be the most important letter I have written you. I wrote to you in January about legislation in the U.S. Senate that could have silenced grassroots communication. Thankfully, the legislation was defeated after you and other concerned citizens let your voices be heard. Now, the U.S. House of Representatives is set to vote on the same issue. "The U.S. House is set to vote on H.R. 984, which would effectively keep AFA and every other pro-family organization in America from providing you information on bills in Congress. Under H.R. 984, we would only be able to provide you information on a bill at a high cost and at great danger of being penalized by Congress." "To put it bluntly, members of Congress are tired of getting your e-mails and phone calls, and H.R. 984 is designed to keep information from you that might inspire you to call or write your representative." 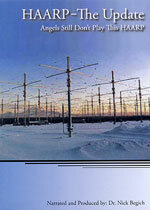 "Click Here to read AFA's review of H.R. 984." "The new Democratic Senate thinks that if it can keep you from getting information - which is what H.R. 984 would do - then its members will not be getting e-mails and phone calls from you." "Representatives favoring this bill are simply tired of hearing from you. That is the bottom line. They don’t want to hear from you. They don’t want you to be informed. They want to silence you. How? By simply keeping you from receiving information that AFA provides." "I know that language is strong, but H.R. 984 will do exactly what I’ve said." This matter IS urgent. Time and time again, Christians and/or Conservatives have learned what our Congress and White House are about to do to us only because of grass-roots organizations who are looking carefully on a daily basis. If Congress can silence these organizations, informed citizens have no chance whatsoever to remain free. VIII. Is an American attack on Iran suddenly on the "back burner"? Or, is this just the "lull before the storm"? "He cited 'the united front of the international community', in words that seemed designed to dismiss talk that the U.S. was going to attack. Defense Secretary Robert M. Gates said yesterday that diplomatic efforts to resolve the standoff with Iran over its nuclear program were working and should be given a chance to succeed." 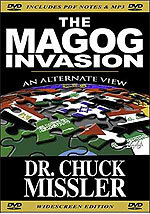 "Both the United States and Israel accuse Iran of trying to develop nuclear weapons, which Tehran denies. Gates said many nations were 'united in telling Iran what it needs to do with respect to its nuclear program ... We agreed it was important to deal with the Iranian nuclear problem through diplomacy, which appears to be working', Gates said at a news conference with Defense Minister Amir Peretz.
" 'These things don't work overnight', Gates said, 'but it seems to me clearly the preferable course to keep our focus on the diplomatic initiatives, and particularly because of the united front of the international community at this point'." "His words appeared aimed at dismissing suggestions in Israel and the United States that the Pentagon was moving toward a strike against Iran." These words of reconciliation toward Iran from the American Defense Secretary seemed designed to defuse the crisis between American and Iran. Indeed, it has been weeks since the rhetoric for war and the military preparations for war seemed so hot it could not be reversed. Since then, rhetoric has cooled dramatically. An American general also reiterated that war with Iran was not going to occur. "LONDON: The U.S. military is capable of attacking Iran but has no plans to do so, a U.S. general said Friday. In an interview with The Associated Press, Brig. Gen. Robert H. Holmes, deputy director of operations for the U.S. Central Command, said despite the wars in Iraq and Afghanistan, the U.S. military would be able to simultaneously attack Iran ... 'we are always ready, always prepared', he said at the U.S. Embassy in London. 'Does that mean we are then focused, loaded and cocked to do a certain thing? Then the answer is not necessarily yes. The answer is no'." 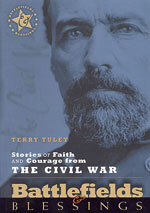 "... Holmes said he believes that military action against Iran would not be the best course of action. "You've got be careful as you begin to piece this together', he said, adding that Adm. William J. Fallon, commander of U.S. forces in the Middle East, 'does not view military action with Iran as a desired military activity right now'." This opinion has been the consensus of American highest ranking officers of both the Navy and the Army. In fact, some weeks ago, we posted a news report which stated that a number of high-ranking generals were prepared to immediately resign if President Bush actually ordered an attack against Iran. These officers know about Russia's scalar electromagnetic weapons capability, plus they know that American forces are stretched too thin right now. Every day which goes by right now lessens the chance that President Bush would actually order an attack against an Iranian nuclear facility which no one has proven is any military threat to anyone. This Asia Times article makes this quite plain. "The West, despite the considerable efforts of its intelligence services, largely remains unsure of the exact nature of Tehran's nuclear intentions. Despite the effectiveness of modern electronic intelligence gathering, the lack of enough human resources on the ground within the Islamic government, the military, the Republican Guards and the nuclear program has severely hampered an accurate analysis of Iran's present and future nuclear weapons intent or capability." This point has been made repeatedly by the head of the U.N.'s watchdog reporting agency, the IAEA. Using language strangely reminiscent of the warnings given prior to the Iraq invasion, where the IAEA warned that no "smoking gun" evidence existed to prove that Saddam had any WMD, the same agency warned that there is no conclusive evidence that Iran plans to use her nuclear power facilities for any reason other than to produce electricity. Cutting Edge subscribers know that Iran has no need to pursue uranium enrichment for nuclear weapons, because she has possessed militarized nukes since early 2002 (NEWS1660). This reality also lessens the possibility that America is really going to attack Iran. IX. Iraq continued to explode in unprecedented fury this past week, revealing that President Bush's "surge offensive" has completely failed. What can we expect next? "Nearly 200 people have been killed in a string of attacks in Iraq's capital, Baghdad - the worst day of violence since a US security operation began. In one of the deadliest attacks of the last four years, some 140 people were killed in a car bombing in a food market in Sadriya district. A witness said the area had been turned into 'a swimming pool of blood'." "The bomb in Shia-dominated Sadriya was reportedly left in a parked car and exploded at about 1600 (1200 GMT) in the middle of a crowd of workers and shoppers. The market was being rebuilt after it was destroyed by a bombing in February which killed more than 130 people. The powerful bomb started a fire which swept over cars and minibuses parked nearby, burning many people and sending a large plume of smoke over Baghdad. Television pictures showed a blasted scene littered with blackened and twisted wreckage." But, this attack was not the only one in Iraq on this awful day. "About an hour earlier, a suicide car bomb attack on a police checkpoint in Sadr City killed 35 people. Another parked car bomb killed at least 11 people near a hospital in the Karrada district of Baghdad, while in al-Shurja district at least two people were killed by a bomb left on a minibus. Two other attacks in the capital killed and wounded about 11 more people." "Car and suicide bombings have occurred almost daily in Baghdad in recent months, despite a US-led security crackdown since February. The bombers are proving that they can slip through the tightened security net and defy the clampdown, says the BBC's Jim Muir in Baghdad." Indeed, this next news story illustrates the reality that insurgents can penetrate through any type of security anywhere in the country they want to strike. Such a scenario usually marks the doom of the fledgling government trying to survive guerilla warfare. "A suicide bomber breached Baghdad's heavy security presence again Thursday, killing a dozen people in a mostly Shiite district a day after more than 230 people died in one of the war's deadliest episodes of violence. Thursday's bomber struck within half a mile of Iraqi President Jalal Talabani's home in the mostly Shiite Karradah district where one of Wednesday's bombs exploded." When insurgents can strike within 1/2 mile of the home of the Iraqi President, they can easily attack his home if they wanted to do so. This attack, coupled with the suicide bombing at a cafe inside the Green Zone HQ last week, demonstrates that the insurgents clearly have the upper hand in this war. The next logical phase would be an all-out, Tet-style offensive, which would be designed to destroy the American Army and topple the Shi'ite Iraqi government. While the Vietnam War Tet Offensive resulted in the obliteration of the attacking Viet Cong insurgency, it is worth remembering that the American force total in South Vietnam at the time of the attack was 550,000 men. Today, only about 160,000 American soldiers are on duty in Iraq. The military situation is not nearly the same. "With several thousand U.S. soldiers still expected to arrive in Iraq and U.S. commanders urging patience, the Baghdad security plan was already showing signs of weakness. One week ago, a suicide bomber slipped through barriers around the U.S.-guarded Green Zone, killing an Iraqi lawmaker inside the parliament building. The same day, a truck bomber collapsed a landmark bridge across the Tigris River, killing 11 people and sending cars careening into the water." This situation is getting so bad that the top Senator in Washington, D.C., solemnly pronounced that "the war was lost". "WASHINGTON (AP) - Senate Majority Leader Harry Reid said Thursday the war in Iraq is "lost," triggering an angry backlash by Republicans, who said the top Democrat had turned his back on the troops. The bleak assessment - the most pointed yet from Reid - came as the House voted 215-199 to uphold legislation ordering troops out of Iraq next year. Reid said he told President Bush on Wednesday he thought the war could not be won through military force, although he said the U.S. could still pursue political, economic and diplomatic means to bring peace to Iraq." Republicans responded exactly the way I predicted weeks ago. They adopted President Nixon's defense against a Congress opposed to the Vietnam War -- a defense revolving around "Support our troops in the line of enemy fire"! "Republicans pounced on the comment as evidence, they said, that Democrats do not support the troops. 'I can't begin to imagine how our troops in the field, who are risking their lives every day, are going to react when they get back to base and hear that the Democrat leader of the United States Senate has declared the war is lost," said Senate GOP leader Mitch McConnell, R-Ky."
"The War Is Lost" is likely to become one of those mantras which define the perception of this war. * "America's "Rumors of Wars" Campaign"
"In searching for a new enemy to unite us, we came up with the idea that pollution, the threat of global warming, water shortages, famine and the like would fit the bill..." Club of Rome, an elite think-tank working with the UN. One great besetting sin of ancient Israel was idolatry, and the spiritual Israel are vexed with a tendency to the same folly. Remphan's star shines no longer, and the women weep no more for Tammuz, but Mammon still intrudes his golden calf, and the shrines of pride are not forsaken. Self in various forms struggles to subdue the chosen ones under its dominion, and the flesh sets up its altars wherever it can find space for them. Favourite children are often the cause of much sin in believers; the Lord is grieved when He sees us doting upon them above measure; they will live to be as great a curse to us as Absalom was to David, or they will be taken from us to leave our homes desolate. 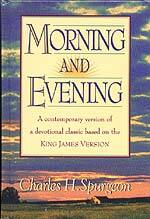 If Christians desire to grow thorns to stuff their sleepless pillows, let them dote on their dear ones. It is truly said that "they are no gods," for the objects of our foolish love are very doubtful blessings, the solace which they yield us now is dangerous, and the help which they can give us in the hour of trouble is little indeed. Why, then, are we so bewitched with vanities? We pity the poor heathen who adore a god of stone, and yet worship a god of gold. 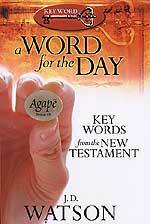 Where is the vast superiority between a god of flesh and one of wood? The principle, the sin, the folly is the same in either case, only that in ours the crime is more aggravated because we have more light, and sin in the face of it. The heathen bows to a false deity, but the true God he has never known; we commit two evils, inasmuch as we forsake the living God and turn unto idols. May the Lord purge us all from this grievous iniquity! 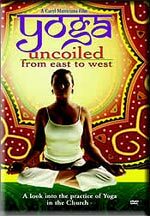 WARNING -- Many believe they can practice yoga postures, breathing, and focusing techniques devoid of yoga's spirituality, not realizing that yoga is an inherent part of Hindu philosophy which teaches man and nature are one with divinity. 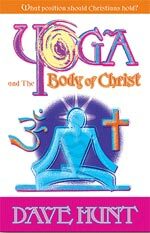 Yoga has now become mainstream in the church through "Christ-centered yoga classes" designed to help improve spirituality and experience "the presence of God". YOGA -- Is this practice a "happy" movement of HEALTH? Or is it an unholy movement straight from HELL? 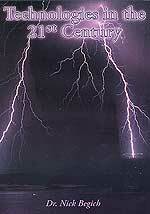 This is THE Century for understanding the human brain and controlling the mind! Technologies have advanced relentlessly, under cover of government secrecy and National Security. 1599 Geneva Bible With FREE CDROM - Hardback On Sale! 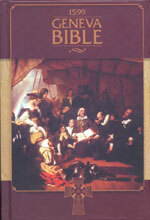 Now you can own the same Bible which our Pilgrim and Puritan forefathers treasured when they landed on our shores. 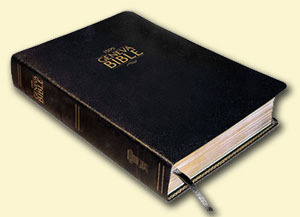 This is literally the "Bible which built America". The 1599 Geneva Bible was so highly treasured primarily because of its comprehensive and scholarly footnotes. This Bible reprint carefully preserves those wonderful footnotes, numbering in the many thousands. Finally, a faithful reproduction of the 1611 King James Version Bible, to be enjoyed by all lovers of the KJV. Purpose is to share the richness of some of the Greek words used in the New Testament and help make them practical in the reader’s Christian living. In a day when words don’t seem to mean much, the need for precision in Christian doctrine and practice has never been more critical.